This was an auspicious day. Braces off day. I've been preparing for this day for 2 and a half years, thinking about how I'd act. When the day came, everything went... absolutely perfectly! 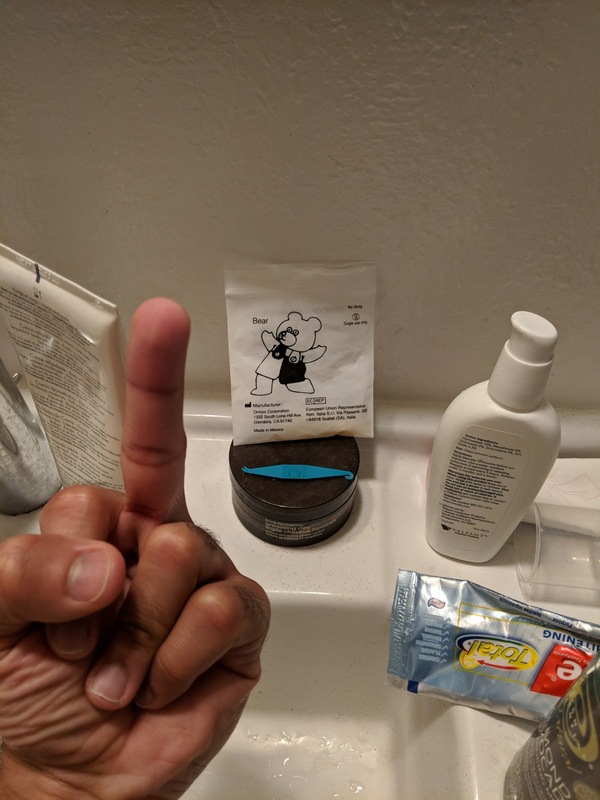 The orthodontist and assistants checked everything over, and then for the the next hour cracked off my braces with glorified pliers and sanded off the remaining cement with glorified dremels. I was in a state of perpetual euphoria the entire time, with a few bouts of uncertainty when I wasn't sure if they were drilling off the tooth or the cement (pro-tip: It's always the cement, they use end-bits that are not as hard as the enamel so it would be close to impossible to drill off the tooth). I also scheduled a deep cleaning 2 hours later at the dentist, though when they checked me over they were happy to say I didn't even need anything beyond a normal cleaning. Possibly for the first time ever, I actually did a good job flossing and keeping my teeth clean. Miracles do happen. After that, I ate figuratively everything. Eating is Intensely fun now, no food stuck in the teeth. No problems, just dreams. To celebrate I had a giant burger and fries. Biting into the burger was a 2.5 year bite of satisfaction. No matter how handsome the bear was, I was tired of his crap. Do you want to know what I care about most? No, not having the braces off, It's no more ****ing elastics. Two days later I have just picked up my retainers today. 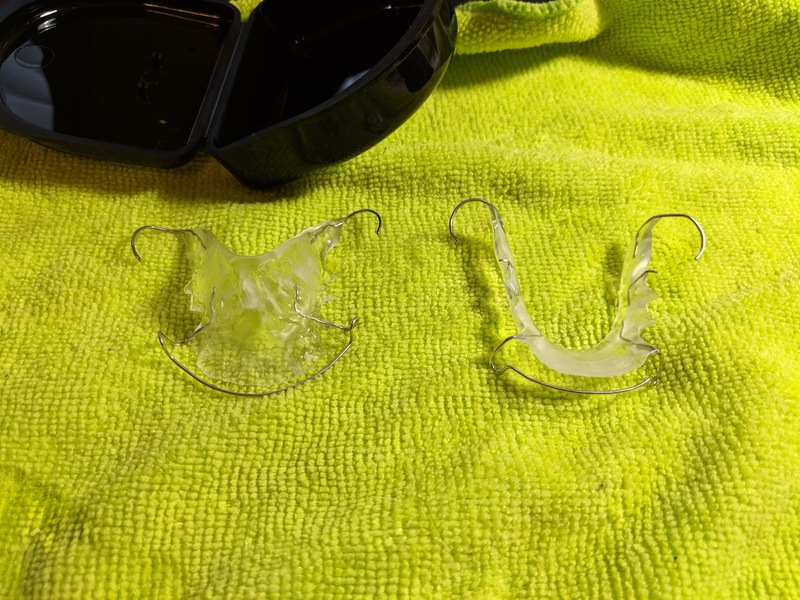 We went with the clear retainers with wires instead of an invisalign option, probably since they're easier to modify. For at least the next 2-3 months I have to wear these for 12 hours a day, so basically while sleeping + a little bit, say on my commutes. They've been made 'active' to help close the gaps between my molars from where the metal bands used to be. Turns out my molar gaps aren't too bad actually, so it should go by reasonably quickly. I'm not going to mind, they feel way more comfortable than braces and I can take them off. I need to give them a little brush at night also apparently. I guess I can think of this as practice for my future dentures one day. I probably won't be updating very often, however once I make a slideshow of my teeth moving with braces I'll post that here. 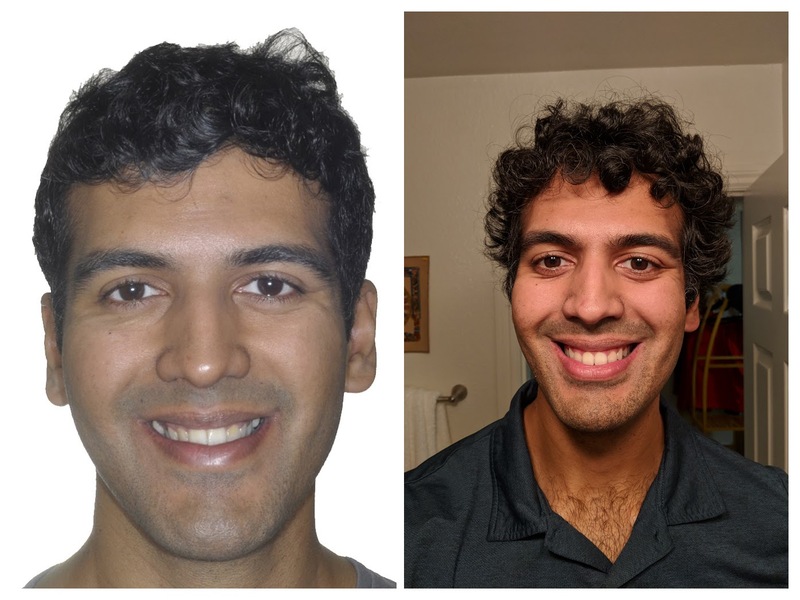 It's been a wild ride, hope this helps any of you getting your set of braces and jaw surgery get mentally prepared. It was absolutely worth it in my case, my quality of life has improved tremendously. Wow, your teeth look fantastic. Congratulations Sam.